Evil never sleeps. Embrace your power and protect your playground. What started out as the search for a killer very quickly becomes something so much more. In a unique story set alongside the events of the second film, Spider-Man discovers he's not the only one tracking down Manhattan's criminals. The underworld has been turned upside down with a one-man campaign of violence and murder that has ca... See moreptured the city in an iron grip of fear. Villains from the film as well as fan-favorite, classic Marvel characters are woven together in a twisted web of adrenaline-fueled, free-roaming, web-slinging action that puts players on a collision course with an evil far beyond Spider-Man's reckoning. 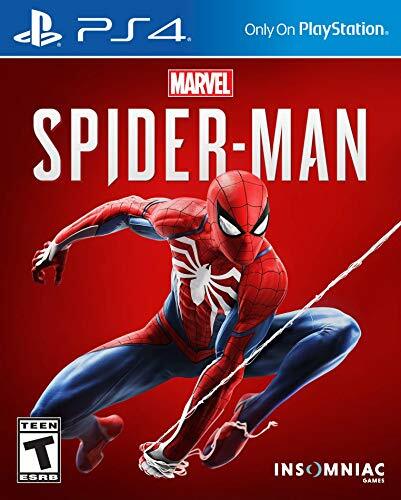 Game Features Play as Peter Parker: Play as Spider-Man's citizen alter-ego persona as you investigate the motivations of multifaceted villains. All-Star Villain Cast: Wide cast of Spider-Man universe and movie villains, each with their own unique boss battle encounters. All-New Web Arsenal: New web-swing mechanic includes expanded web-shooter capabilities and chemical properties that allow you to freeze and blow up items on impact. Expansive NYC: Explore and take on villains in a more expansive Manhattan cityscape than the previous Amazing Spider-Man. New Heroism System: "Hero or Menace" system rewards you for acting as Spider-Man by stopping crime and saving citizens, but face the consequences if you don't keep down crime rates. Advanced Combat and Upgrades: New abilities and expanded fast-paced, acrobatic combat moves bring players up close and personal as Spidey takes down foes.